Prepositions can be confusing. 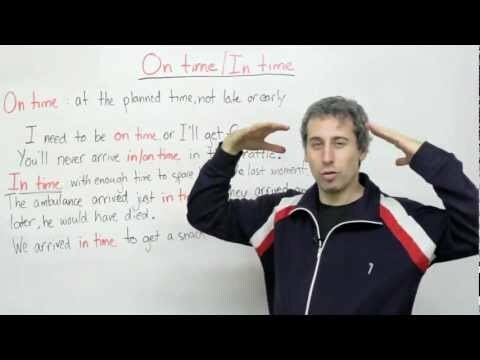 In this grammar lesson, I look at the difference between in time and on time. Sometimes we can use either one, and in other situations only one of the prepositions is correct. Can you tell the difference?